Oakley Property are pleased to announce the completion of the sale of the former Tin Tabernacle in Barcombe, near Lewes. 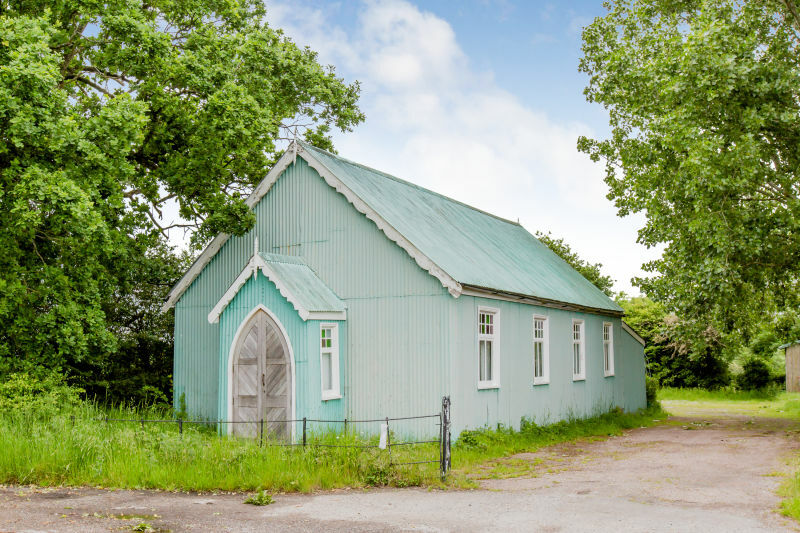 The Tin Tabernacle was originally built in circa 1885 and is steeped in history, having previously been used as a chapel, community hall, wedding venue and even a film set. The property more recently had planning permission granted for it to be converted to a single residential dwelling. The property was sold by Oakley on a best bids basis and the successful new owners propose a renovation of the property, which will be sympathetic to the existing structure and its surroundings. With extensions only approved to the rear of the property the existing ‘tin shed’ look will still be an imposing look from the road. Once the build is completed the property will be circa 2,035sq.ft and will sit in a plot of approximately 7,513sq.ft. The plans that have been approved will make for a stunning single storey, state of the art property with great open living space. The property will further benefit from 3 double bedrooms, off road parking and will have stunning views across adjoining countryside. While marketing the property Oakley in Lewes showed a whole variety of different buyers around, it was eventually sold to someone who wanted to make it their family home, which the agents said, secures the long term future of this important building. For further information please call Richard Castell on 01273 487444.